I will admit it, I am not good at taking care of my clothes and so I keep it simple and stay with 100% Cotton clothes. Those with such complicated fabrics like silks with sequins or beaded, pleated wools and such, all those goes to my dry cleaners. So when I was offered this book for review, I couldn't wait to read it! "This 60-page guide contains heaps more than your average book. Stickers, hanger cards, tear-out cards and charts along with actual wardrobe-saving products are all included. But wait, there's more: links to exclusive videos are included to help you learn how to jelly roll like a pro." It explains how certain parts of our clothes gets stains and what kinds or types they are! 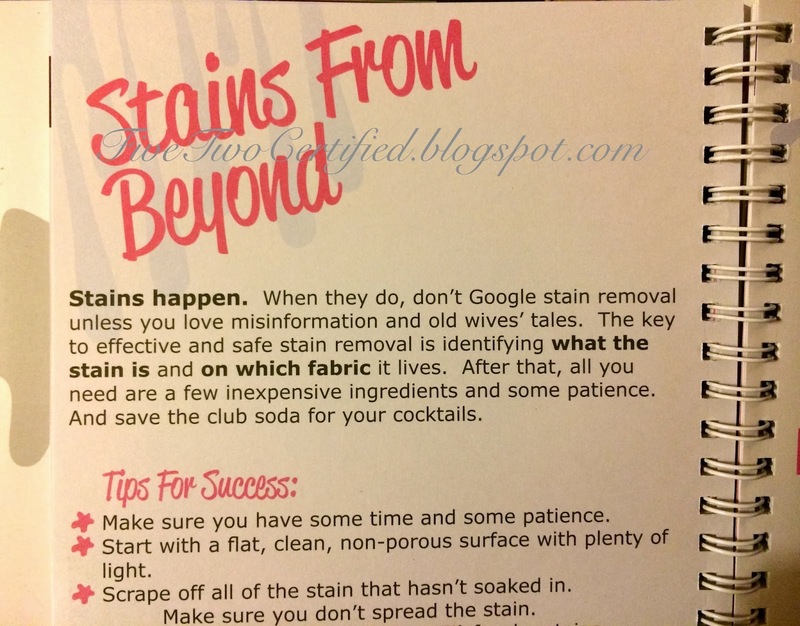 Since all stains are not the same! It has a guide on how to wash certain fabrics. If silk needs ironing or what dry cycle does cashmere needs to be on. I have been out of my Momma's house for years now, and I still make mistakes on how I should take care of my own dresses, shirts, sweaters and all that. And when in doubt with those delicate pieces I just handwash them! We hate going to the dry cleaners too, I think we only go once a year so any book that can help me take care of my clothes longer is much needed in my household. This kit of some of our best-sellers has been so popular that we decided to add it permanently! 1 strip of White Collar Grime. This kit is an $12+ value. I have not used my kit for emergencies yet (knock on wood, I hope not) but if I do face an emergency, I have this kit handy in my purse! 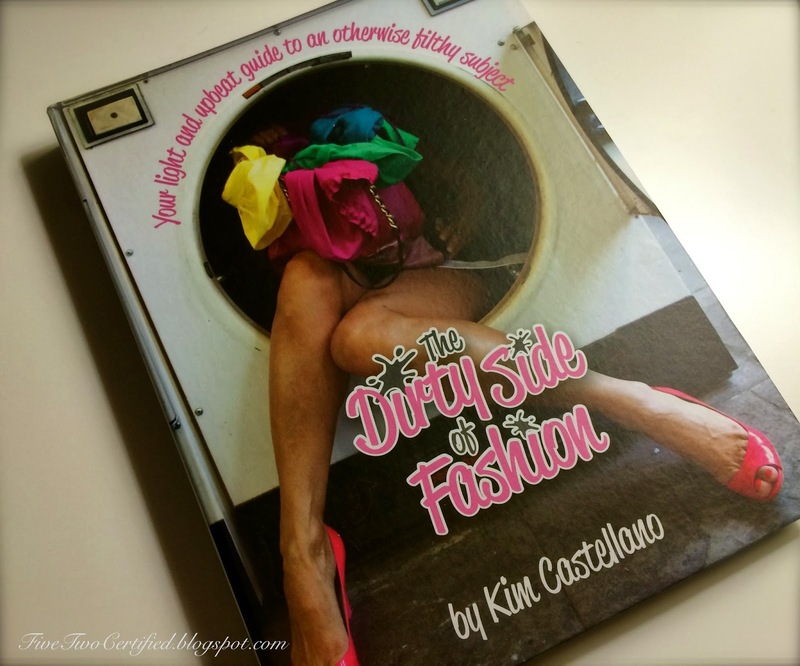 So if you are like me and you just put all your clothes in one setting for wash and dry, this is a handy book to have. It's straight to the point and easy to read. *Have you experienced any fashion emergencies in your life? How did you solve it?